Today, Genetic Engineering is one of the top career choices made by students in engineering courses. Genetic Engineering is also referred as genetic modification. It is a process of manually adding new DNA to a living organism through artificial methods. Genetic Engineering is a method of physically removing a gene from one organism and inserting it to another and giving it the ability to express the qualities given by that gene. Some examples of genetic engineering are Faster-growing trees, Bigger, longer-lasting tomatoes, Glow in the dark cats, Golden rice, Plants that fight pollution, banana vaccine, etc. “Genetic Engineering is that field which is related to genes & DNA. Genetic engineering is used by scientists to improve or modify the traits of an individual organism”. An organism which is generated by applying genetic engineering is called as genetically modified organism (GMO). The first GMO were Bacteria generated in 1973 and GM mice in 1974. The techniques of genetic engineering have been applied in various fields such as research, agriculture, industrial biotechnology, and medicine. Genetic engineering focuses on biochemistry, cell biology, molecular biology, evolutionary biology, and medical genetics. The term “genetic engineering” was firstly used by Jack Williamson in Dragons Island a science fiction novel. In 1973 Paul Berg – father of genetic engineering invents a method of joining DNA from two different organisms. Genetic engineering is used in medicine, research, industry and agriculture and can also be used on a wide range of plants, animals and micro organisms. Medicine – Genetic engineering in the field of medicine is used in manufacturing drugs. The concepts of genetic engineering have been applied in doing laboratory research and in gene therapy. Agriculture – In Agriculture, genetic engineering is used to create genetically modified crops or genetically modified organisms in order to produce genetically modified foods. Research – Scientists uses the genetic engineering in their various researches. Genes from various organisms are converted into bacteria for storage and modification, creating genetically modified bacteria. For admission in UG courses, students must have passed 12th Science exam. In India, most of the colleges give admission on the basis of ranks secured in JEE Main 2019. Joint Entrance Examination Main (JEE Main) is usually conducted in the month of April. Some institutions also provides admission on merit basis. For IITs, it is necessary for students to qualify JEE Advanced 2019 after clearing JEE Main. For admission in PG courses, students should hold a bachelor degree in genetic engineering from any recognized university. Mostly GATE 2019 score card will be considered for admission in pg courses. On the basis of GATE scores, candidates can apply for admission in Master of Engineering/ Master of Technology courses. After pursuing courses in genetic engineering, you can work in medical and pharmaceutical industries, research and development departments, agricultural sector, genetic engineering firms, chemical companies, etc. A genetic engineer can work in both private and public sectors. Genetic engineering graduates are required in government as well as private organizations. There is a great growth of genetic engineering in India as well as in abroad. With the increasing number of biotech firms in India, the future scope in genetic engineering is good. The graduates of this field can also opt teaching as a career. Numerous colleges are introducing genetic engineering course in their colleges and for that they recruit professionals of this field. To become a genetic engineering research scientist, you need a doctoral degree in a biological science. The genetic engineering research scientist can become project leaders or administrators of entire research programs. A genetic engineer need to be aware of the concepts of the subjects its present and also future prospects. The study and research work should be conducted and kept under proper care by the engineers. Genetic engineers needed to be connected or maintain contacts with various firms and industries. Extend their work timing in case of special projects. How much salary should I expect as a genetic engineering? Salary packages of a genetic engineer are based on qualification, experience, working area, etc. You can get a handsome salary package after gaining the sufficient experience in this field. The average salary of a well-qualified genetic engineer is Rs. 20,000 to 35,000 per month. They can earn more in the private sector as compared to the public sector. Which are the best books for genetic Engineering? For any queries regarding Genetic Engineering, you may leave your comments below. Which is the best b.tech course ? sir,i’m interested on genetic engineering bt how can i apply..plz sir inform me. please help my 12th sub. PCMB but math marks 48 can i apply jeemain and addmition genetics engineering. After 12th can I take admission in genetically engineering…? I am a b.tech biotechnology student and want a career in genetic engineering.What should i do after pursuing b.tech? I m science student B group… In 12 th board exam I fail in 2 subject physics and chemistry. I like this course but marks are down so I can’t take and I am attempt my mother health is down so I need to take care my father is dead I am only one son to my mother I take care of her I lose my marks and exams………..
nepalese student can get admission or not ???? What is the general cut-off for this course in IIT Delhi? Hai, I am a btech Genetic engineering graduate and I want to pursue a career in medical health care, which course will be suitable and what position will I get after post graduation. For genetic engineering we can pursue B.E.,B.Tech and B.Sc. too. But I want to know which one is best among them? Or what is difference in among these courses? Can medical student do genetic engineering. I am interested in genetic engineering course if availability in Gujarat India so good college is required for the same. PCBM or PCB in 12th cannot opt for genetic engineering ?? how can i join a genetic engineering college?on which basis i can join? What subject would be taken for genetic engineering,math or biology? Please answer me. My daughter is in +1 taken maths biology group.she is interested in genetic engineering.so what should be her career option ? sir, is maths compulsory in 12th standard to study for biotechnology. i have taken biology will get admission in genetic engineering college. if yes, then what exams will i have to clear for admission in genetic engineering college. Check the eligibility for it. I am presently doing a BSc.Biotechnology after 12th(Biology).am I eligible for MSc.Genetic Engineering ???? How can I seek admission for that? it not that much difficult. You can study it with littl bit concentration or dedication. Can I get the admission in genetic engineering on the basis of MHT CET. Is bsc genetics course is best and how to apply for that ? 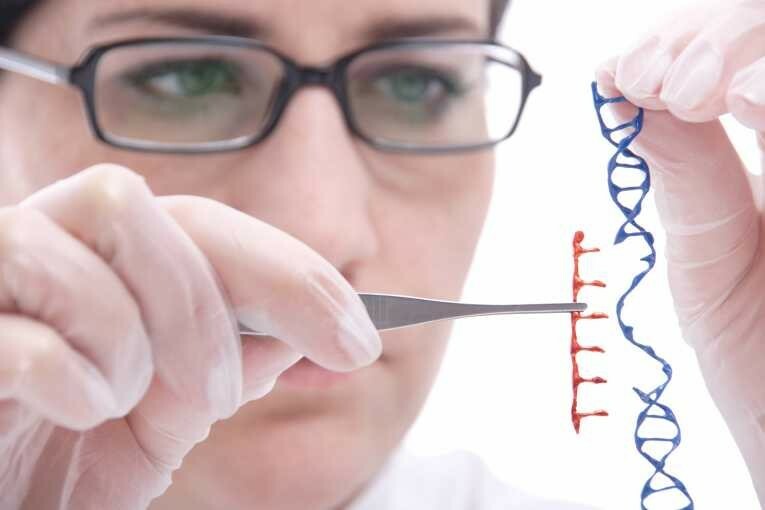 Can I do genetic engineering even if I haven’t appeared for JEE entrance exam ?? The admission are done on the basis of JEE Main. Entrance exam required rather JEE for genetic engineering? Are Mathematics n Biology both required for genetic engineering???? No.. Either Maths or biology is the qualifying subject for graduation in Genetic engineering or Biotechnology. This course is providing a lot of job opportunities nowadays as new innovations are happening in science and technology. You can search for the courses like Bsc. Biotechnology/ Genetics. Be careful to select the institutes where proper lab conditions and equipment are available for the course. You can visit the sites of Universities like Benares Hindu University, Lovely Professional University, Amity etc where you can avail enjoyable campus life and better placements after your Graduation. After 12th what a student should do to persue a carrier in genetic engineering ?